Follow the exploits of Vivitiv partner Jacqueline McCarthy as she travels the world in pursuit of great design and architecture on the new Design Junket blog. There are so many interesting places in this world, it’s hard to narrow down where to go when you’re not a trust-fund baby. 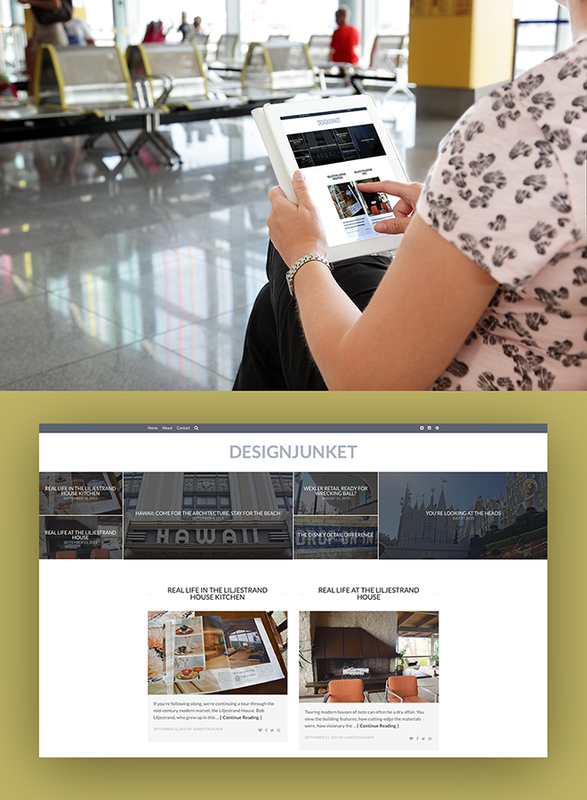 The “designjunket” system was developed to determine travel plans. Each junket starts out with at least one specific design-related element to investigate. It could be a painting, a building, an invention or inventor. You know, because “design is everywhere.” After I see what I sought, I check out the rest of the area. Any available pricing will be listed (current at the date of the post) and any money-saving insights will be shared because I’m a skinflint but can’t do hostels. Come along for the ride, I hope it inspires you to embark on your own design junket and let me know your thoughts. Happy junketing! Also follow Design Junket on Instagram, Pinterest and Twitter.